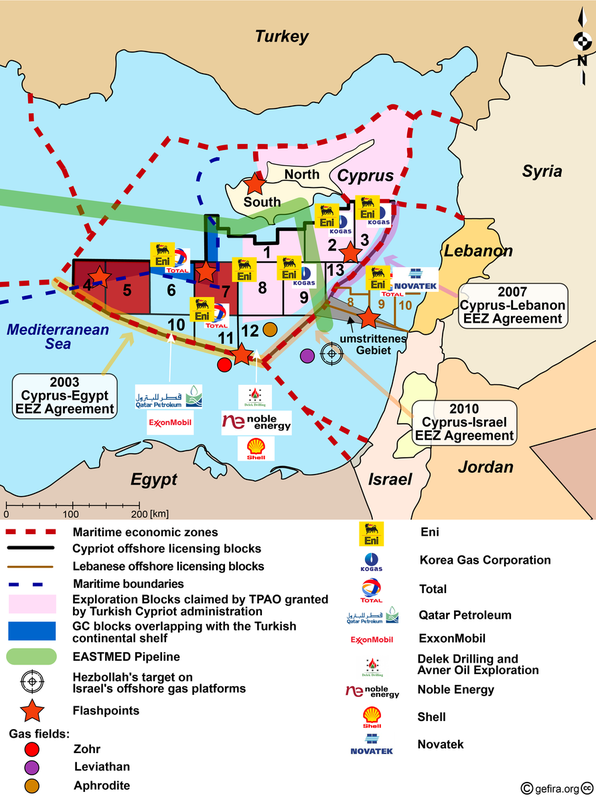 Turkey Vows To Make "Sea Bandits" Drilling Gas Off Cyprus Pay "Like Terrorists In Syria Did"
Ankara will not allow any “sea bandits” to roam free and tap the disputed natural gas reserves off Cyprus, Turkey’s president has vowed, while commissioning a new warship to challenge competitors militarily, should the need arise. Erdogan said Sunday, according to Daily Sabah. While claiming that Turkey has no ambitions to annex any “territories,” Ankara promised to protect “the rights of our country and of our brothers." “Those who thought that they could take steps in the Eastern Mediterranean or the Aegean despite [this] have begun to understand the magnitude of their mistake. We will not allow bandits in the seas to roam free just like we made the terrorists in Syria pay,” Erdogan said at a ceremony transferring the TCG Burgazada corvette to the Turkish Navy. The exploration of hydrocarbon resources off the coast of the Republic of Cyprus has become a sensitive issue for the international community, ever since the first gas deposit discoveries were made off the coast in 2011. While the Republic of Cyprus belongs to the EU community and is recognized by the UN, TRNC, the northern third of the island, has been occupied by Turkey since 1974. As a result, Ankara continues to claim jurisdiction for offshore research in the East Mediterranean, an area thought to be rich with natural resources. The region has recently witnessed an escalation in tensions, after the Turkish Navy intercepted a Greek frigate which tried to interfere with a Turkish research vessel’s seabed exploration on October 18. The incident prompted a diplomatic row with Greece, which traditionally supports the ethnically Greek government of the Republic of Cyprus. While Greece denied interfering with the Turkish research vessel, Ankara has cautioned its neighbor and longtime opponent not to stir trouble in the region. To ease tensions, Cyprus’ President Nicos Anastasiades has offered Turkey on Friday to cooperate on exploiting the East Mediterranean’s potential oil and gas wealth, stressing that the ethnically split island nation should be reunified. All previous international efforts to unite the island have failed. To avoid any further intercommunal tensions and hostilities the United Nations continues to maintain a buffer zone there. “We will continue with our goal of exercising the sovereign rights of the Republic of Cyprus, as an independent state – member of the European Union, proceeding seamlessly with our energy planning for the benefit of all the legitimate inhabitants of the country, Greek Cypriots and Turkish Cypriots,” the president noted. US-based ExxonMobil and Qatar Petroleum have already been licensed by the Cypriot government to undertake seabed exploration of Block 10. Last month, Nicosia also invited France’s Total, Italy’s ENI and ExxonMobil to explore Block 7. ExxonMobil’s Stena IceMax drillship is scheduled to arrive in Cyprus on November 12. Turkey, meanwhile, started conducting its first deep-sea drilling off Antalya’s shores on its Mediterranean coast this week.